Never thought a visit to the dentist could be described as pleasant, but Dr. Lee and his staff just continue toblow me away. This is my second visit with them and I am in love with their friendliness, promptness, and professionalism. I had chipped one of my front teeth on the bottom of a swimming pool and by the time Dr. Lee was done fixing it, it was like it had never happened. The care with which he inspected my tooth as the treatment went along and repeatedly made adjustments made it evident that he takes great care in providing the highest quality service for his clients. I really enjoyed my visits with Dr. Lee and can't recommend him enough. Book him! Never thought a visit to the dentist could be described as pleasant, but Dr. Lee and his staff just continue to blow me away. This is my second visit with themand I am in love with their friendliness, promptness, and professionalism. I had chipped one of my front teeth on the bottom of a swimming pool and by the time Dr. Lee was done fixing it, it was like it had never happened. The care with which he inspected my tooth as the treatment went along and repeatedly made adjustments made it evident that he takes great care in providing the highest quality service for his clients. I really enjoyed my visits with Dr. Lee and can't recommend him enough. Book him! Dr. David Lee has turned out to be the finest dentist that I have ever had. I'm a retired University professor(CSUF), and have been going to Dr. Lee for the last 20 years. He has: a wonderful and competent manner with his patients, always explaining the situation well and then, providing you with the help of his expertise. His wife also works in the office, and is most gracious. They are wonderful, and come highly recommended. They get a solid "A+" from this retired professor. Dr. David Lee has turned out to be the finest dentist that I have ever had. I'm a retired University professor (CSUF), and have been going to Dr. Lee for thelast 20 years. He has: a wonderful and competent manner with his patients, always explaining the situation well and then, providing you with the help of his expertise. His wife also works in the office, and is most gracious. They are wonderful, and come highly recommended. They get a solid "A+" from this retired professor. Dr. Lee has a Bachelor of Science in Electrical Engineering. He graduated with honor from California State Polytechnic University, Pomona in 1990. He worked as an engineer for a military contractor company for a few years. Dr. Lee went on to study at University of California Los Angeles (UCLA). 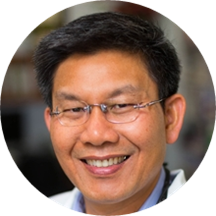 He graduated from UCLA School of Dentistry in 1999 with a degree of Doctor of Dental Surgery (DDS). He enjoys taking educational courses to learn the latest technique and dental materials. He has committed himself to provide excellent dentistry, the highest level of care, and the best possible treatment by updating and incorporating the latest technology, techniques, and materials. He is dedicating to pain-free dentistry. His personality and gentle technique make your dental visit more enjoyable experience. He can calm the most nervious patient. Once per week, Dr. Lee is working at Children's Dental Health Clinic (CDHC) at the Long Beach Memorial hospital since the year 2000. The CDHC is also part of a USC school of dentistry pediatric residency program. He enjoys working with children, and believes that positive first visits to the dentist create a lifetime dedication to oral health. He is an active member of the American Dental Association, California Dental Association, and a local Harbor Dental Society. I have been going to see Dr. Lee for many years now and I love how friendly everyone in the office is and also no waiting and no over crowded in the office. Wouldn’t change dentist ever.